Every so often, fashion editors and influencers alike take a breather from designer goods and, seemingly overnight, create a budget-friendly trend accessible to all. We were Stan Smith stans, briefly embraced $10 dad hats, and snuck into Brandy Melville for $15 tees alongside preteens. Our love of a steal is unparalleled, but the latest iteration is a doozy. Introducing, the $5 fisherman’s net bag. Like many practical-yet-chic staples (straw totes, ballet flats, etc. 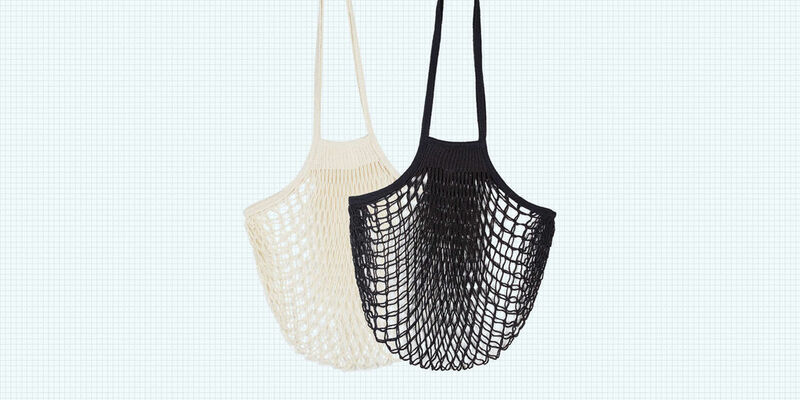 ), the mesh tote has French origins. Intended for actual fisherman, it quickly became a grocery shopping standard at Parisian markets for its packable yet expandable quality. Today, we’re more keen to wear it with featherweight linen dresses, earth-toned mules, and vintage sunnies. Of course, this isn’t fashion’s first affair with the market tote; Céline presented a runway version with their Fall 2015 collection. But if you’re thirst for authenticity is real, look to Filt. The Normandy-based company was founded in 1860 by French workers who have been creating these goods ever since. Those will set you back at $18, but Amazon is where I copped mine at $8 for two bags. If and when this trend loses its trendiness, no matter: Its sensible value still exists, and then you’ll own the chicest shopping tote at Trader Joe’s.